READY TO EXPLORE? 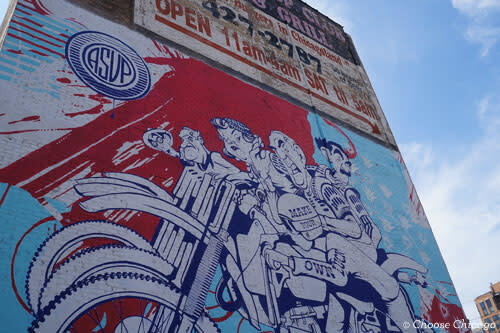 HERE ARE SOME FAMOUS CHICAGO MURALS IN PILSEN, LOGAN SQUARE/BUCKTOWN & WABASH ARTS CORRIDOR. 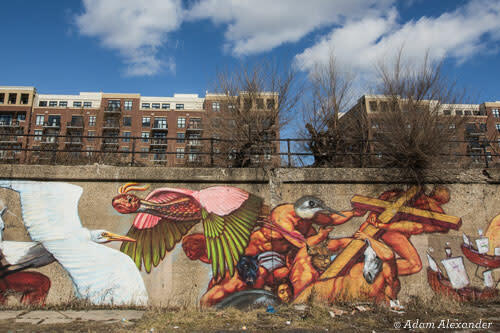 On bridges, in stairwells and climbing buildings, Chicago&apos;s murals tell the story of faith and hope, race and immigration, struggle and success, family and whimsy. 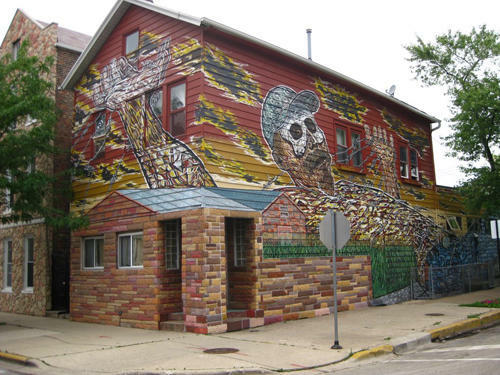 Check out some of Chicago&apos;s most beautiful murals in these popular neighborhoods. 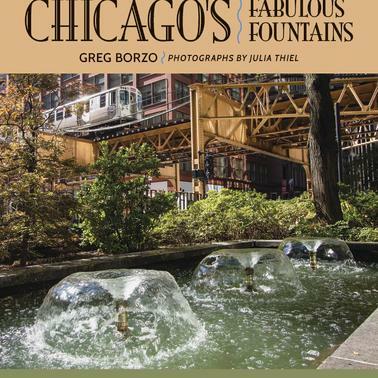 Share your artistic Chicago shots on Instagram. Tag #mychicagopix. 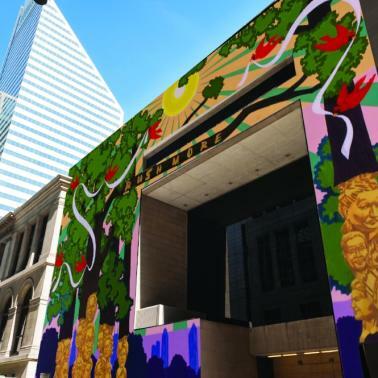 The Loop&apos;s living urban canvas lies along Wabash Avenue from Van Buren to Roosevelt, featuring large-scale mural installations by Columbia College Chicago students and artists from around the world. This Dutch artist works without sketches or notes. 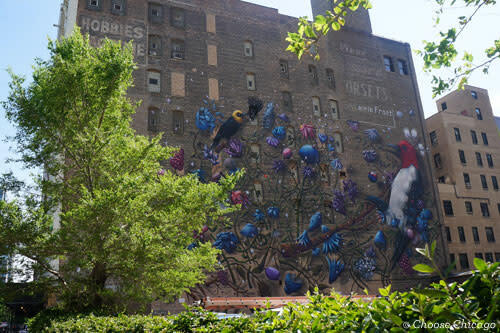 His mural depicts two endangered Illinois birds against larger-than-life blooms. Two Brooklyn artists known as ASVP created this piece under the Vertical Gallery&apos;s "The Power of Paint" series. 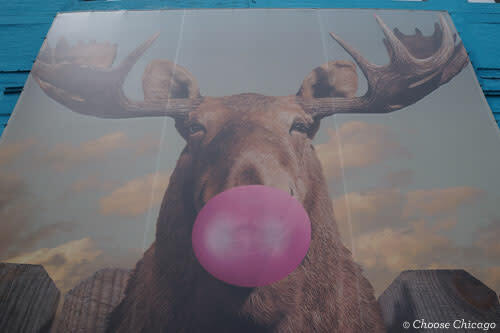 Jacob Watts&apos; moose was selected as one of the winners in the 2014 Columbia College Chicago&apos;s Wabash Arts Corridor Campus competition. 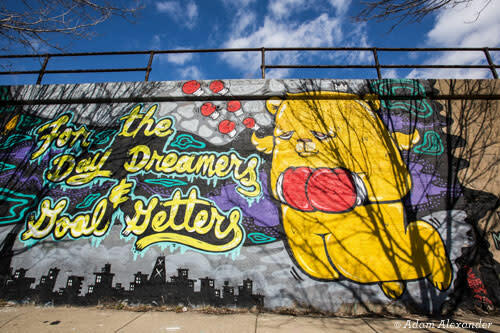 What started as a collaboration between the Chicago Urban Art Society, National Museum of Mexican Art, Park Works and street artists has skyrocketed into a full-on mural movement. 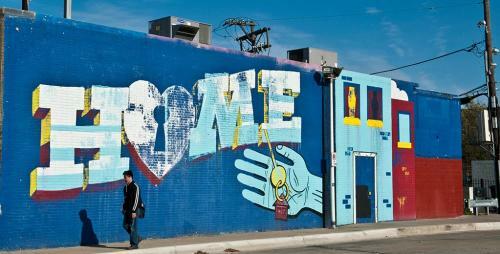 The award-winning public artist turned his two-story home into a stirring depiction of Mexican immigration struggles. This conversation starter illustrates the shared Catholic faith between the neighborhood&apos;s Polish and Mexican residents. 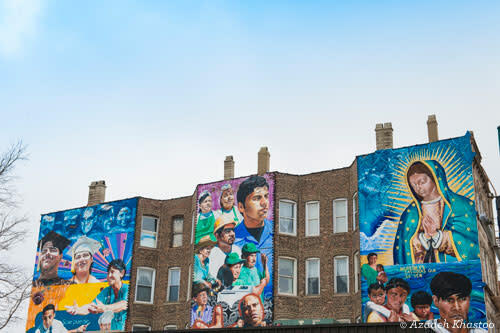 The native Chicago artist&apos;s three-panel building mural mixes politics, religion and neighborhood with images devoted to Our Lady of Guadalupe, local workers and Cesar Chavez. This huge and colorful piece is meant to inspire and empower. "Get out there and live your dream" is the underlying message. Walk the area bounded by 16th Street to the north, the Chicago River to the east, Cermak/22nd to the south and Western Avenue to the west. Everything has artistic potential in this tight-knit locals neighborhood comprised of grassy parks and thoroughfares. 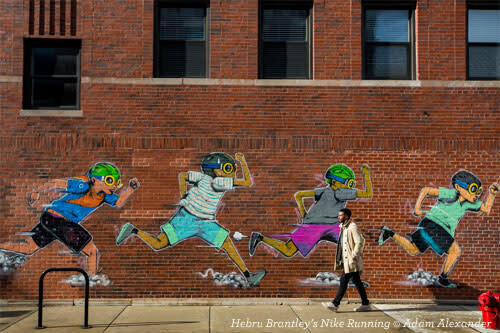 A Chicago native, Hebru Brantley&apos;s Flyboys tell the stories of young adventurers in the city. The dark blue in this Logan Square CTA bus terminal piece represents the safety, honor and comfort of home.